When it comes to instructions, it’s best to keep it simple. The less there is to remember, the better chance you have of keeping up with it all. And when it pertains to your smile, it isn’t any different. There’s not a lot you need to know when it comes to keeping your oral health at its best. When you do, everything from your social life to your systemic/overall health will be affected. No matter how great you are at brushing, it’s physically impossible for your toothbrush to reach two key areas: between your teeth and under the gumlines where periodontal disease thrives. Unfortunately, most people find flossing a tedious and annoying chore. To make it easier, consider keeping floss picks in your desk drawer, car, or tossing your floss altogether to get a water flosser. Research shows that water flossing can be even more effective at cleaning away dangerous bacteria than traditional string floss. What do you sip on throughout the day? Coffee flavored with your favorite creamer? Diet soda in the afternoon? Juice at breakfast? A sports drink every night at the gym? All of these beverages contain natural and artificial sugars that can wreak havoc on your tooth enamel. In fact, sports drinks are more acidic to teeth than soda. A healthier alternative is to stay hydrated with water. Unless you’re a professional-level or elite athlete, water is all you will usually need. Plus, it rinses away extra acids and bacteria while you drink it, making your teeth cleaner. Some people naturally tend to have heavier amounts of plaque and tartar buildup on their teeth. Using a soft bristled brush is ideal for cleaning along the contours, so that stiff bristles don’t skip over such areas. But an electric toothbrush is even better! The hundreds to thousands of extra strokes that the bristles make can blast away the microscopic buildup that isn’t visible to the naked eye. Just remember that you get what you pay for. Investing in a higher quality, soft brush will be more effective and gentler on your teeth and gums than a disposable, hard bristled economical one. Your gums are what help hold your teeth in place for the years and decades to come. If they become infected, so will the supporting bone structure underneath. Signs of gingivitis (such as bleeding or swollen gums) should be addressed quickly, so that they can be reversed before progressing into periodontal disease. Aggressive signs of infection include bad breath and receding gumlines, as well as possible tooth mobility. At this point it’s not just your smile that’s at risk: your overall health may suffer too. Make it a point to brush your gums daily, but gently. When you floss, be sure to wrap it close to the tooth and slide just up and down under the gums, raising it up high enough so as not to catch the gum tissue when moving to the next tooth. For water flossers, trace the gumlines with the stream of water angled downward at about 45-degrees. If your gums bleed or feel tender for the first several days, that’s fine. 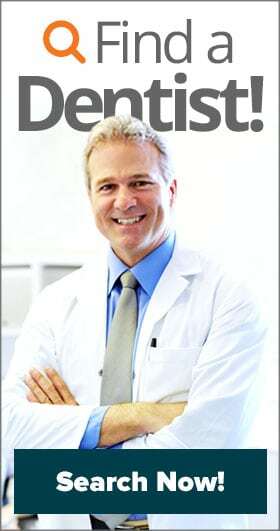 Any symptoms that last longer than two weeks should be addressed by a dentist. The absolute best way to prevent major dental problems is to see your dentist regularly for preventative cleanings, exams, and diagnostic X-rays to catch minor issues during their earliest developmental stages. Such measures can keep problems smaller and more affordable to treat. Avoiding checkups only allows decay or dental infections to advance into aggressive diseases that require extensive attention. 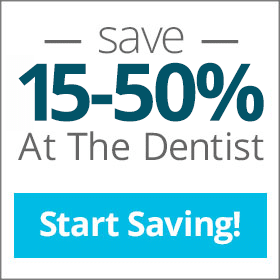 If you haven’t been seeing a dentist every six months because you no longer have dental insurance, consider a discount dental savings plan instead. These programs are an affordable alternative to conventional insurance coverage, offering 15-50% off of routine services!